Jaquito: Delicious new Chocolat Jaquito + more tattoo art available! 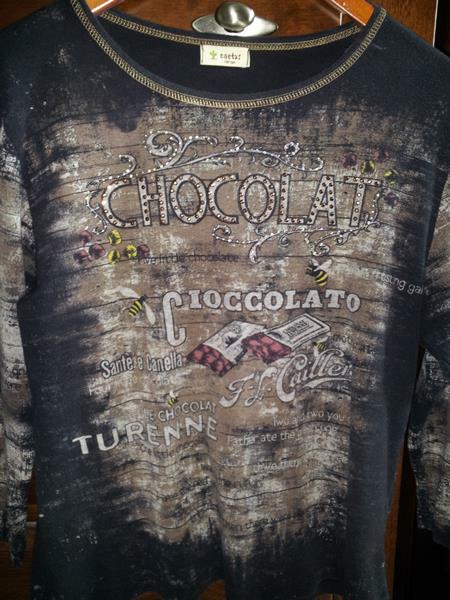 Delicious new Chocolat Jaquito + more tattoo art available! Here's the latest jaquito. 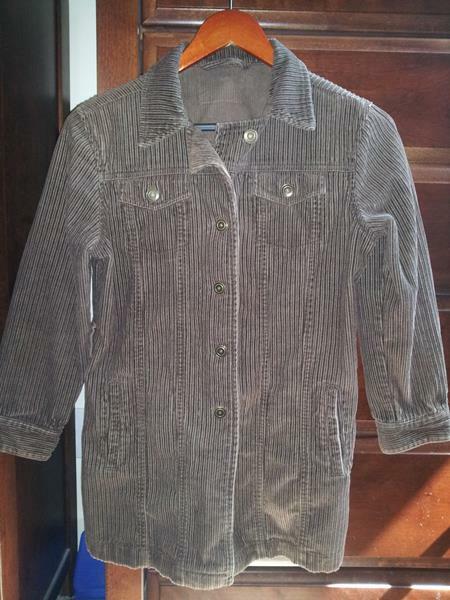 Chocolate brown corduroy, hand-warmer pockets. 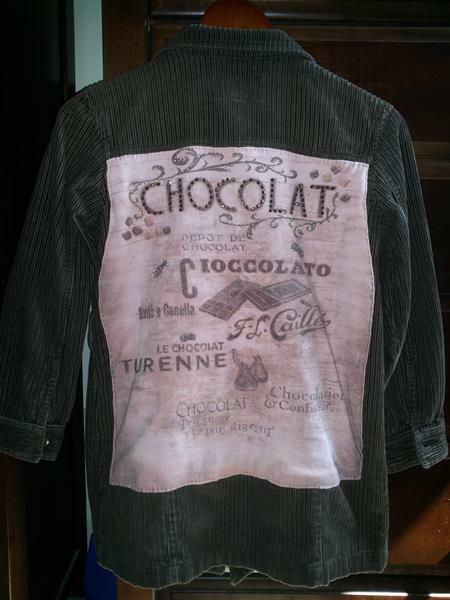 On the back: pink and chocolate multilingual CHOCOLATE design! Yum! Size small. $30. 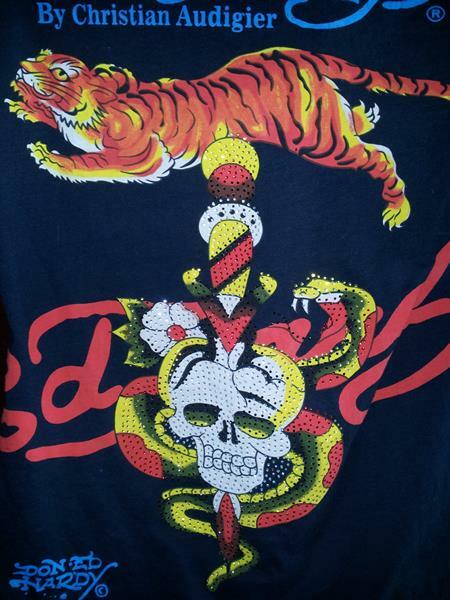 I also found another cool Ed Hardy tattoo art t-shirt. 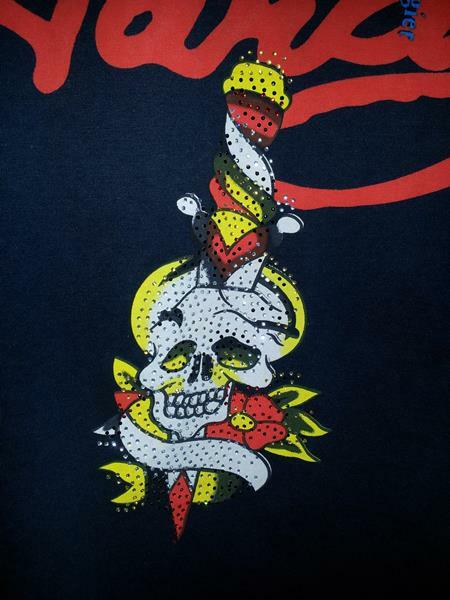 Two designs with skull and dagger; the one on the back includes a snake and a tiger. I'd love to see these on a black jacket: the big design on the back, and the smaller skull & dagger on a sleeve or breast pocket. Leave a comment if you're interested!